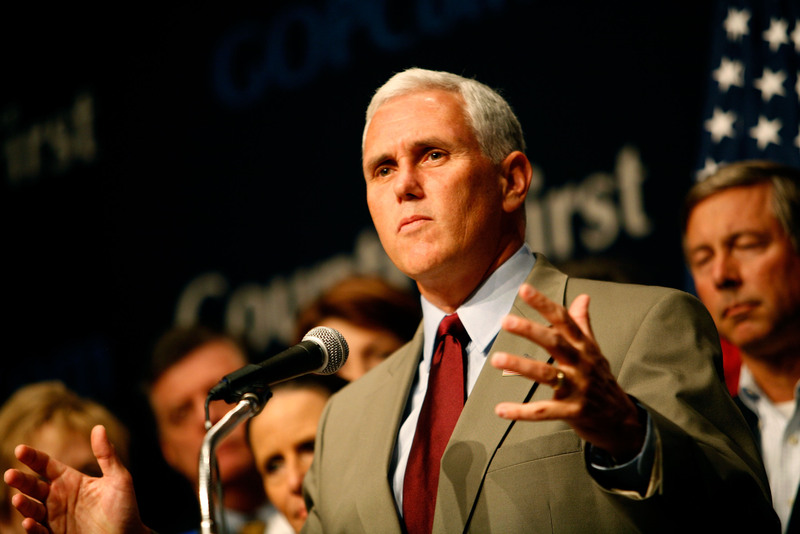 Earlier: Now that presumptive Republican nominee Donald Trump seems to be considering Indiana Governor Mike Pence as his running mate (according to Reuters reporting from Roll Call, not Trump or his team), a lot of people are wondering: Does Mike Pence have kids? It turns out that he and wife First Lady Karen Pence have three adult children, Michael, Charlotte, and Audrey. All three have been subjected to the spotlight in their father's political career, but Mike Pence's daughter Charlotte Pence (or Charli for short) might be busy on the campaign trail with her father this election season, as the 23-year-old just recently graduated with a double major in Digital Cinema and English from DePaul University in Chicago. Bustle has reached out to Charlotte Pence for comment. According to her LinkedIn page, the recent graduate of the School of Cinema is interested in film production and short films, and has spent her spare time in college interning and freelance writing and producing for Indianapolis' WYFI Public Media. She also spent her junior year at DePaul studying abroad at Oxford University, in English and Philosophy. Her activities on campus at DePaul included the Chi Omega Fraternity, the DePaul Documentary Collective, and the Digital Cinema Collaborative. Along with her sister and brother, Charlotte has also been involved in her father's political career. Although she has not been active on Twitter for almost a year, previous activity includes retweets from her father's official account, a few of which chronicle moments she and the family were involved in political events and activities. She appears to also have a personal website chronicling her film and writing resumes, but it is currently offline. Some of her writing work can be read on from a Thought Catalogue article entitled, "Believing In God And Other 21st Century Burdens," published in 2014. As for Charlotte's involvement in a the potential campaign trail should Trump make her father his official running mate, one can only guess that the family will put her digital film education and writing skills to work. Bustle has reached out to Charlotte Pence for comment and will update upon response.